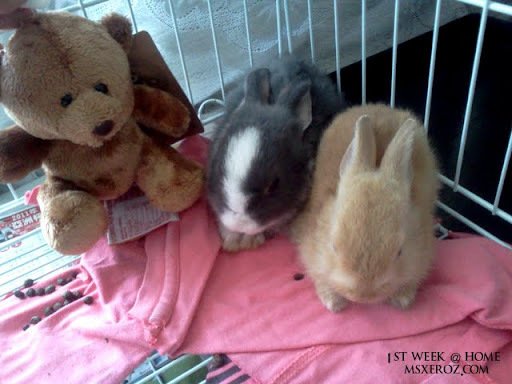 MSXEROZ:::Stories of My Life:::: Fluffy and Bunny Has Grown! I'm sure that most of you in my Facebook has seen them. 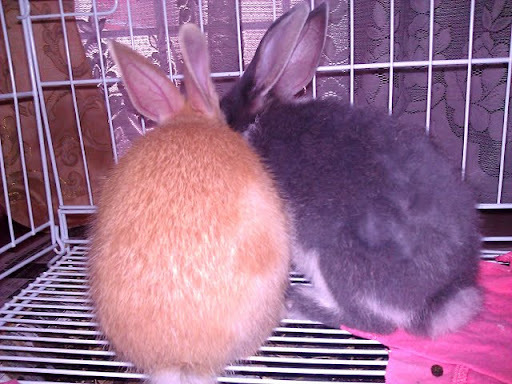 They are shy, innocent and cuddly initially..
And of course, both occupied a fraction of the cage space. Erm, perhaps i should consider getting another cage? 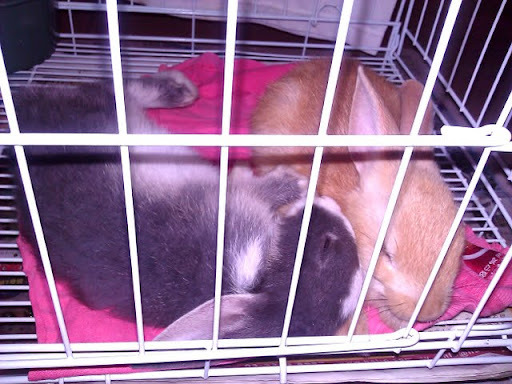 I knew that my baby bunnies will grow up someday, but i never expected them to grow as fast as this! 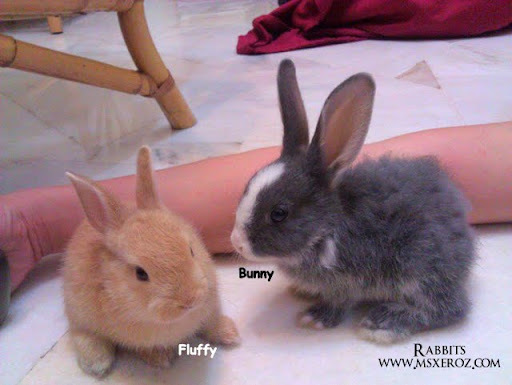 I'm feeding my bunnies 3 times a day - Breakfast, Lunch & Dinner --> 1/2 cup of pellet + 1/2 cup of hay. Sometimes fresh vegetable leaves is included too. Treats (occassionally 2x a week): Mandarin oranges (1 slice each), strawberry green top. 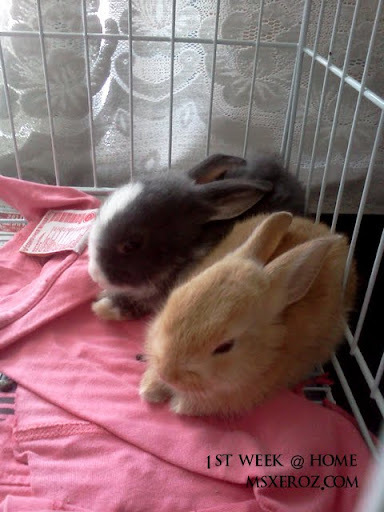 Bunny and Fluffy are more active now and all i wish is they can have a happy and healthy life. wah.. so big dy ! LOL !